The hunt is on, again. The Japanese whaling fleet managed to keep everyone happy for a year, but now they've flipped the proverbial middle finger at the international community and have decided to go ahead with this seasons annual whale hunt, despite global opposition. If you didn't know, the Japanese people, just like the people of Norway and Iceland, have developed quite the taste for whale over the years. Whaling has existed in Japan in an industrial fashion since the end of the 19th century, although it really started booming after World War II, when kids were sent to school with whale meat in their packed lunch boxes. Japan became part of an international whaling movement that drove many whale species to the brink of extinction, and in an attempt to prevent this travesty from realising itself, the International Whaling Commission (IWC) issued a global moratorium (pause) on commercial whaling in 1986. 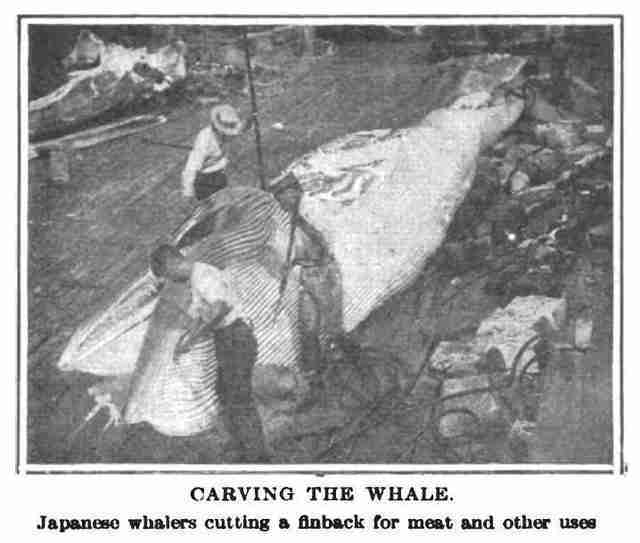 For most this was a sign that the game was up, that the era of whaling had run its course and that new ventures must be explored, but some members of the IWC wouldn't take no for an answer, and Japan was one of these members. 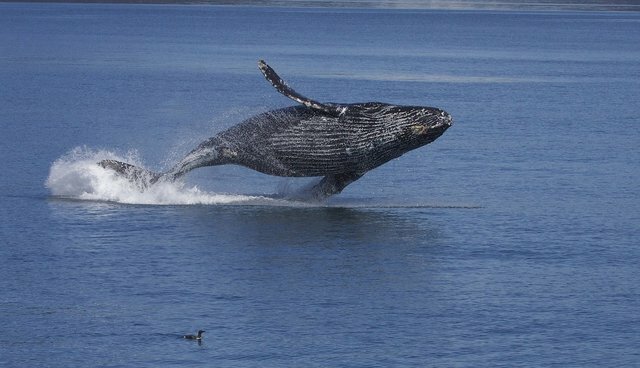 No sooner had the moratorium been issued (which Japan agreed to), the Japanese government issued itself a scientific permit for whaling, which was essentially a loophole in the moratorium, and meant that whalers would be allowed to hunt 825 minke whales and 50 sperm whales for the following 10 years. This was, understandably, met with considerable outrage by other members of the IWC, however there was little that could be done about it. In 1994 the IWC created the Southern Ocean Whale Sanctuary in and surrounding the continent of Antarctica, meaning that commercial whaling was, and still is, prohibited there, but this made no difference to Japan's whaling activities as they are not technically partaking in commercial whaling anyway. 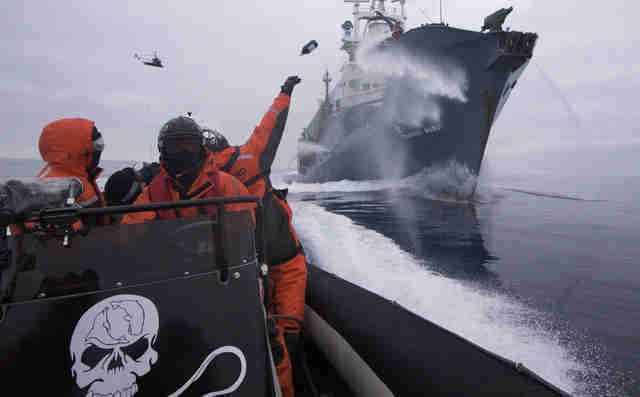 However in light of the Japanese's ad-hoc approach to whaling, others took up an ad-hoc response, most notably the marine conservation organisation Sea Shepherd, who took it upon themselves to disrupt Japanese whaling activities as much as possible. Their actions have included getting in the way of the whaling boats, blocking up their propellers, and throwing missiles such as lumps of foul-smelling, rotten butter at the ships, which have allegedly caused the Japanese crew members to vomit out of disgust. These attempts proved successful, with Japan announcing in 2013 that its yearly whale haul was at a record low due to "unforgiveable sabotage" by Sea Shepard. You should never underestimate the power of rancid dairy products. Nonetheless, despite Sea Shepard's attempts, the annual whale hunt did continue. However in 2010 a hero stepped into the scene in the form of the Australian government, who took Japan to the UN's International Court of Justice (ICJ), citing that their 'research' programme was just a cover for commercial whaling, which of course it was. 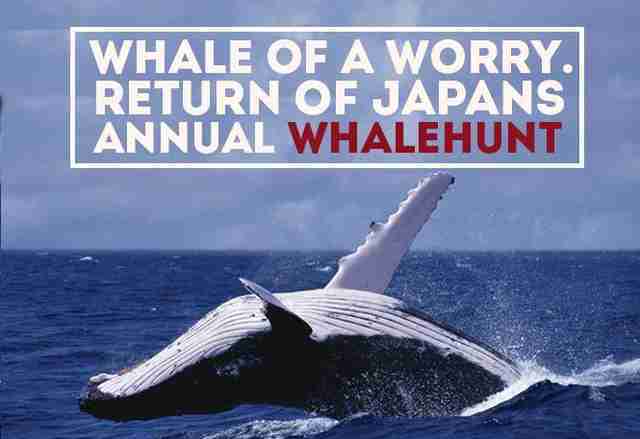 The move was largely expected to be unsuccessful, but four years later in 2014, the ICJ ruled that the Japanese whaling programme was illegal, and amongst much celebration in the international community the Japanese hunt was brought to a halt. The Japanese whaling fleet didn't set off for the 2014/2015 whale hunt, but this success was to be short-lived. This year Japan administered itself a new research license (although it is much smaller, aiming to only catch 333 minke whales per year), and thus in November the whaling fleet set off again, and re-established its role as in international pantomime villain. So where do we go from here, seeing as a ruling from the world's highest court only seems to put a temporary stop to the hunt? Firstly, there needs to be an acceptance that hunting and eating whale is part of Japanese history and culture, and an all-out ban would not only be ignorant, but also highly hypocritical seeing as many other nations hunt wild animals too. Secondly Japan needs to stop conveying this ridiculous notion that their hunt constitutes 'scientific research' – it is widely known that there is no need to kill whales in the name of research, as non-lethal research techniques are the most effective and efficient method for studying the species. Once all parties are on the same page they can begin working together to make sure that some sort of whale hunt goes forward, but in a way that is proven to be sustainable. Once this is achieved, this nasty affair can be put away for good.